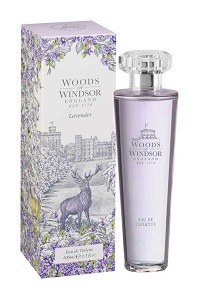 Woods of Windsor Eau de Toilette Spray "Lavender"
Woods of Windsor Lavender Eau de Toilette features THE classic English floral fragrance. This classic scent features the fresh green notes of the beautiful Lavender flower, which are combined with notes of Patchouli, Musk and Chamomile to create a fresh and aromatic fragrance. Woods of Windsor originated during the 1700's from an apothecary that was situated beside Windsor Castle. Today, Woods of Windsor offers a line-up of fragrances and natural beauty products that are inspired by the nostalgic romanticism, charm and wildness of a traditional English country garden.